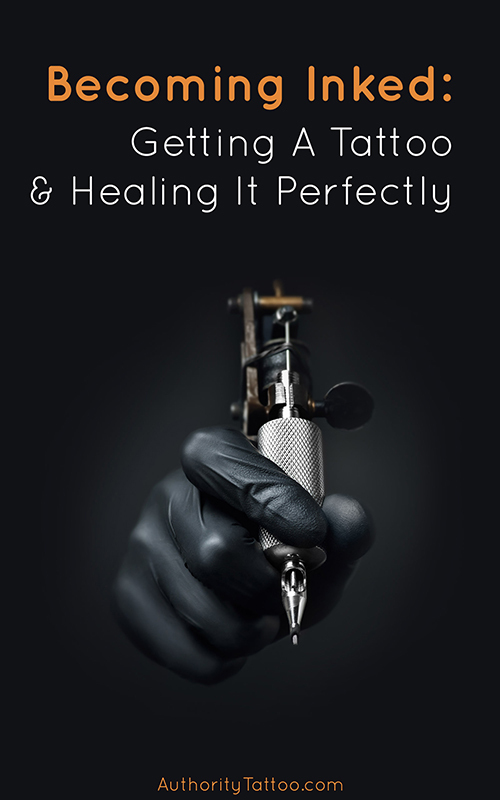 Do you want to prevent your new tattoo from getting messed up during the healing period? Then you need to follow good aftercare procedures. An important part of aftercare is keeping the freshly inked skin moisturized and protected. Aquaphor is a product often recommended by tattoo professionals for taking care of new tattoos, and this guide provides you with more information about what exactly Aquaphor is and what it does for your tattoos. Aquaphor is a skin protectant ointment that is made from petroleum jelly, which has been used for decades to heal skin issues. It works to hydrate severely dry skin and soothe skin that is irritated for various reasons. As newly inked skin can be both dry and irritated, Aquaphor makes a good moisturizer and protectant. So why should you consider Aquaphor tattoo care instead of just plain old petroleum jelly? Aquaphor has additional ingredients that add to its moisturizing properties. Mineral oil and ceresin in this ointment provide even more protection for your skin and tattoo. There are also other ingredients in Aquaphor that help it to go onto the skin smoothly and not get sticky. To further facilitate healing and soothe inflammation, the ointment contains chamomile extract. Chamomile is a natural ingredient that is a known anti-inflammatory. Still, Aquaphor is not just used for tattoos. It can be used for a variety of skin issues and prevention of dry skin. It’s good to know that if you buy a container of Aquaphor for your tattoo aftercare you can still use the rest of it rather than wasting it. You don’t need to apply Aquaphor until the container runs out or for the rest of your life. For the most part, your tattoo should be treated just like the rest of your skin after it is healed. What Aquaphor is good for is speeding up the healing process of a new tattoo and making sure that the tattoo design or color doesn’t get messed up from irritated skin, excess scabbing, or rashes. Therefore, that means you only need to use Aquaphor during the healing stage of your tattoo, also called the aftercare period. How long is that? Your tattoo should be pretty much healed in 2 weeks or less, depending on the size and style of the design, and your individual healing ability. You’re not going to do any harm using Aquaphor a little longer than is actually necessary. Aquaphor can be used daily on healthy skin. A good guide, however, is to at least continue using it until the redness and scabbing on your tattoo subside. As for how often to apply the ointment, you should put it on about once a day. For some people, Aquaphor provides too much moisture. If you find that your scabs are getting mushy are you’re developing any kind of irritation or pimples from the ointment, then cut back on how much you’re using. Or it may be time to switch from a heavy healing ointment to a lighter fragrance-free lotion for the remainder of aftercare. If your tattoo is healing well, you may only want to use Aquaphor for the first 3 days. Then you can switch to a lighter moisturizer for your tattoo. Never use products with heavy fragrances, dyes, or irritating ingredients on freshly inked skin. New tattoos ooze lymph fluids, blood, and excess ink. All of those draining fluids can dry and form a crust on the skin. Using Aquaphor helps to keep that skin moisturized so that the fluids don’t dry and form crusts on your tattoo. Most tattoos are going to scab up a little. That’s normal. Though you don’t want to get a lot of large scabs on your tattoo, and you certainly don’t want scabs to crack open. That can lead to excess ink loss and create areas of less color in your design. 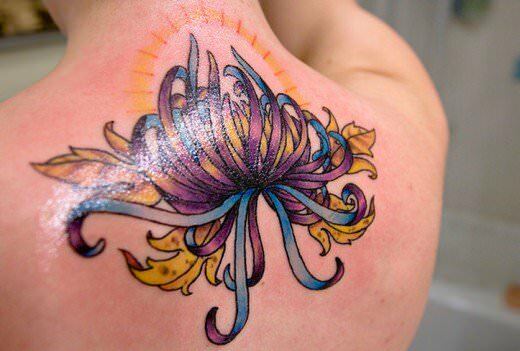 Although not extremely common, tattoos can become infected. 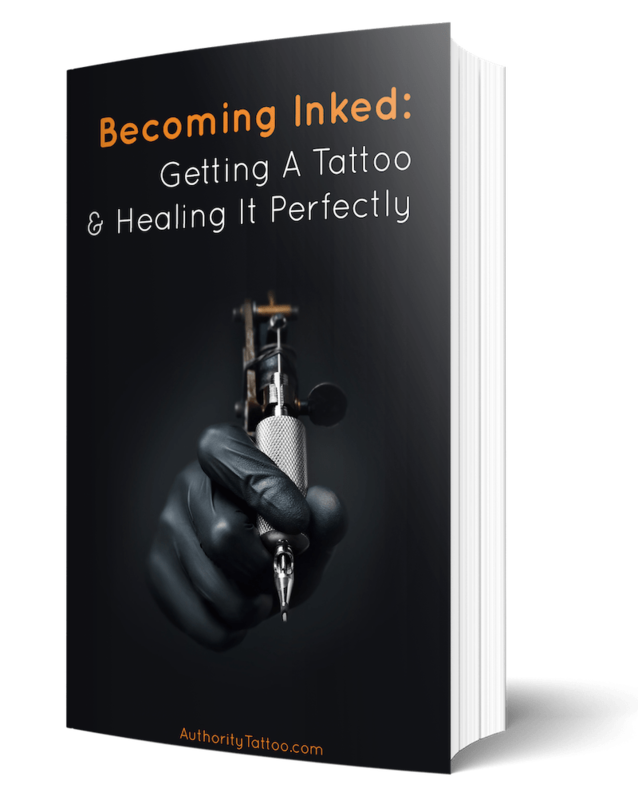 When you get a tattoo, the needle or needles make lots of tiny openings in your skin to place the ink below the top layers. These are essentially shallow wounds in your skin, and even small wounds can let in bacteria and become infected. Aquaphor, because it is a thick ointment, forms a protective barrier that keeps out dirt and bacteria. New tattoos itch. There’s no way around it. The top layers of your skin are irritated and healing, and that makes your skin feel itchy. 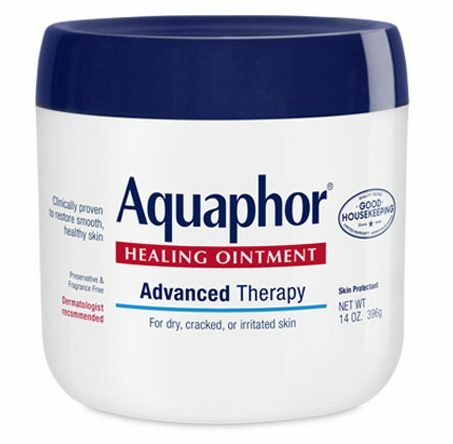 Aquaphor moisturizes the skin and soothes irritation, so it can make the itching a little more bearable. Plus, you’re not going to want to scratch when you have ointment on your skin, and you should never, ever scratch a new tattoo. By keeping your tattoo moisturized and bacteria-free, Aquaphor can speed up the amount of time it takes for your tattoo to heal. You don’t technically have to use it, but it makes the whole healing process go smoother. As an added benefit, Aquaphor is also pretty inexpensive compared to other tattoo healing products. You can get it at most drug stores and other places that sell skincare products. Aquaphor is one of many products used for tattoo aftercare. It can be an excellent healing aid, but it does occasionally have drawbacks. Watch out for these issues. For some people, Aquaphor doesn’t work out. It can be too much for those with sensitive skin. If you start forming little bumps or a rash around your tattoo, you may want to stop using Aquaphor and switch to another product to see if that helps. If you use a lot of Aquaphor, it can clog your pores. Depending on where your tattoo is located, this made lead to a breakout of pimples. To prevent this problem, apply the ointment after cleaning the tattoo, and continue cleaning it daily and reapplying Aquaphor. Some people notice ink leaking from their tattoo when they use Aquaphor. The truth is that all new tattoos bleed out some excess ink. It’s nothing to worry about, and your tattoo is still going to have plenty of color when it heals. It’s just that the thick texture of Aquaphor captures some of that leaking ink and may look like you’re losing more than it looks like when the ointment is not there. Usually, disadvantages of using Aquaphor can be prevented by using the right amount. It only takes a little. When you get a large or detailed tattoo, the tattoo artist may apply a bandage or wrap. You can usually take this off after a few hours, but leave it on for as long as your artist recommends. Some tattoo artists recommend leaving the bandage on overnight. Before applying Aquaphor, whether you just removed the bandage or not, you need to wash your tattoo. New tattoos leak and scab, so you’ll want to gently wash it with a mild soap. Just use your hands. Don’t try to scrub it with a washcloth or pick at any crusts or scabs, as this can cause potential loss of ink and fading. You don’t want to trap a lot of excess moisture in when you apply the ointment, so pat your tattoo dry with a paper towel or clean, lint-free towel. When you apply the ointment, use just a little bit. Your tattoo does need some oxygen to heal, and putting on too much Aquaphor can suffocate the skin and clog pores. If you start to get bumps like pimples or a rash, then your skin is telling you that you’re using too much Aquaphor. To make sure you’re not using too much, use a clean paper towel to dab off the extra ointment after you apply it. Don’t worry about taking off too much. As long as you’re not wiping it, it should be fine. Again, it only takes a small amount to keep your tattoo protected. Aquaphor is one of the most popular and least expensive tattoo protectants available for aftercare. It’s made from well-known skin soothing ingredients, and will keep your tattoo from crusting, scabbing, and cracking open. Using Aquaphor daily can help your tattoo to look the best it can when it’s fully healed. Just rub a small amount of the ointment on to clean, dry skin.